Every day, police officers are out in the streets fighting crime and keeping us safe. 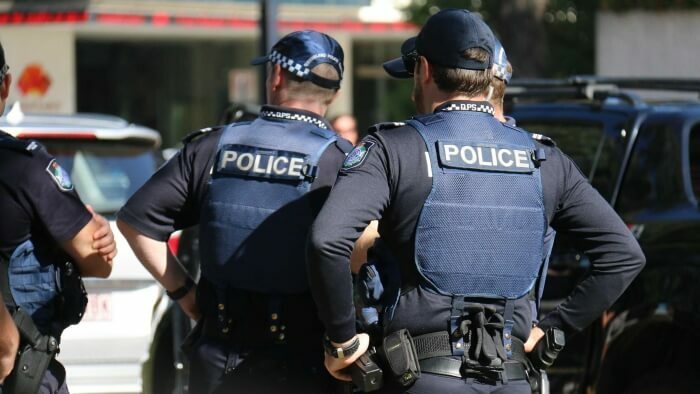 It probably goes without saying that time is of the essence when you’re on the job as a law enforcer, which is why these officers need quality watches that will hold its own on the streets. While the choice may be tough, we’ll try to make it easier by showcasing the best wristwatches for police & law enforcement officers. When working on the force, it would be best to keep things simple and functional. This Citizen watch is not too flashy but is still designed with quality design in mind. The watch uses Citizen’s Eco-Drive movement, which uses a solar panel on the face of the watch to charge the battery. With this watch, you won’t have to worry about losing any time, changing the battery, or rewinding it on the daily. And with its stainless steel case and 200-meter water resistance, rest assured that this watch will survive any bumps and dings while on the job. Accuracy is key when you’re a law enforcer, and that also means keeping your watch accurate, and it can’t get any more accurate than watches with a Swiss quartz movement. 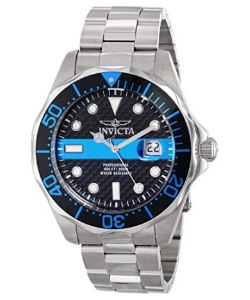 This Invicta watch is another unassuming watch, that won’t budge while keeping its accuracy. When on the streets, there are so many things that can damage a watch, especially water. But this Pro Diver timepiece can handle depths of up to 660 feet, making sure that you can keep time, no matter what the situation. The watch’s face also features large indicators, so reading time will be a breeze and won’t take up too much energy. Digital watches tend to be popular with police officers due to their functionality. Most digital watches are easy to read, have a calendar, stopwatch and basically everything you would need from a watch. 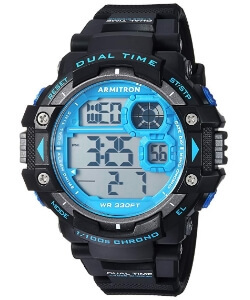 The Armitron Sport has a simple, sporty black case with blue details, and a large face with a date and day window, with the time being displayed in the middle. The watch has both 12-hour and military time and is braced to the wrist by a black resin strap with a buckle. 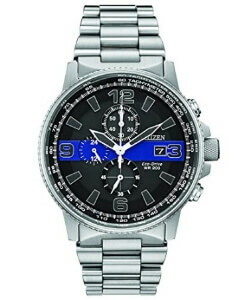 This is perfect for law enforcement as there would be a smaller chance of the watch falling off during the day. As an officer, you don’t want to buy a watch that’s too flashy, as this may not sit well with superiors and colleagues. Another reason is with all the urgency involved with being a police officer, there’s a chance that your watch may fall off when on the job, and you don’t want to be scrambling on the ground looking for an expensive watch while a crime is in progress. Chances are, if you’re working in the police force, you may have a lot of nights where you’re working. Having a proper backlight (or lume) on your watch will make it much easier to read time in the dark, which may be really important when working as a police officer. Police work is a very unique job, there’s isn’t a lot of work out there that can be compared to police work. Police officers on the daily have to do an incredible amount of physical work while also doing “normal” office things like filing paperwork and attending meetings. Because of this, there’s a lot that can damage your watch, whether it will be hitting it on something while fighting crime, or simply banging it against the office refrigerator. Your watch needs to be able to survive all of this, so make sure that the timepiece you’re looking at is made of quality materials that won’t budge. For a lot of officers, their watch is the only thing they’re wearing that isn’t part of a uniform, so personal preference plays a large role in choosing a watch. When buying anything, at the end of the day the choice is no one else’s but yours. There’s no such thing as a “wrong” choice for a police watch. Some of these timepieces may be less practical than others, but if you’re comfortable and feel good about the choice you made, then there’s no problem at all, officer. Best G-Shock Watches for the Military: What Options Do We Have?